This blog is going to cover three weeks, basically our last few full weeks here at the croft and in Italy. We will be leaving for Munich Saturday the 1st of December to fly home for winter break. We take you back to Sunday, November 4th. This Sunday was spent catching up on homework that nobody had brought with them on fall break and then a nice tea with Mary in her blue room. The room is filled with many interesting things, many of which were Egyptian. We had a nice time chatting, but Mary again scolded us for being too quiet and not talking enough. On Monday, we had class and tried to remember everything we were learning about before our very long and exciting break. 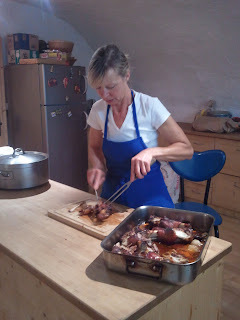 Brigitte helped refresh our memories with an amazing lunch of lamb. We also got a paper assignment for our Cantos class to write about what knew and learned about Venice and Ezra Pound with Mary. Tuesday the 6th was work day, but unfortunately the boys came down with a stomach bug and were extremely sick. The girls took on the day all by ourselves and stacked wood and rolled nets for the day. It was a demanding day, and we all got a workout which was nice. Wednesday was a class day, but now Amber and Ramsey were sick for the day. Thursday everybody was feeling better and we all attended class. Mary usually urges us to ask three questions and to be curious, and today was no different. We asked a lot of questions during class. However, Mary did not like our “laundry list” questions about her life and Ezra’s experiences. Friday the 9th was an eventful day, a few of our group went to Meran for the day, and at night we celebrated Danny’s birthday with a bonfire. It was a very fun night and afterwards the boys went out by themselves to Club X to dance. On Saturday Tony and Gloria invited us for dinner in their apartment to celebrate Danny’s special day. Gloria made some amazing lasagna and everybody really enjoyed the meal. Sunday we did not have tea with Mary because she was away giving a lecture, so we used the day to catch up on homework and finish up the important paper for Mary. Tuesday was a work day and the group stacked wood, raked leaves off the hills, and swept the roads clear. Wednesday the 14th was the day we left for Rome on the train. It took us about six hours to get there. The trip went smoothly and we found our hostel without much trouble. On Thursday we received a Roma Pass, which was very helpful because it allowed us to travel on the metro and tram without having to pay. 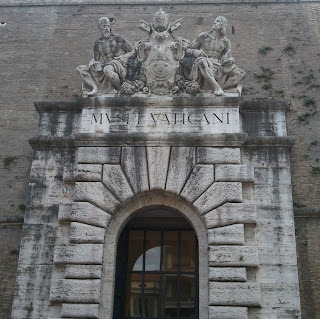 We visited the Vatican Museum in the morning and after that we walked around exploring the city on our own. 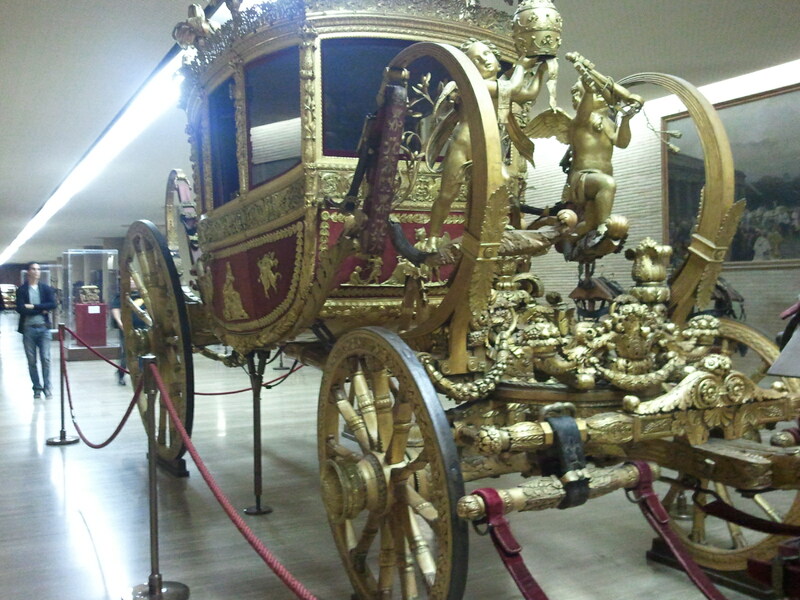 The Vatican had many amazing things, but one of my favorite things to see were all the carriages that the different Popes had ridden in over the years. That night we ate at the Road House Grill and had some good steak, burgers, and chicken wings. Needless to say we were missing American food. 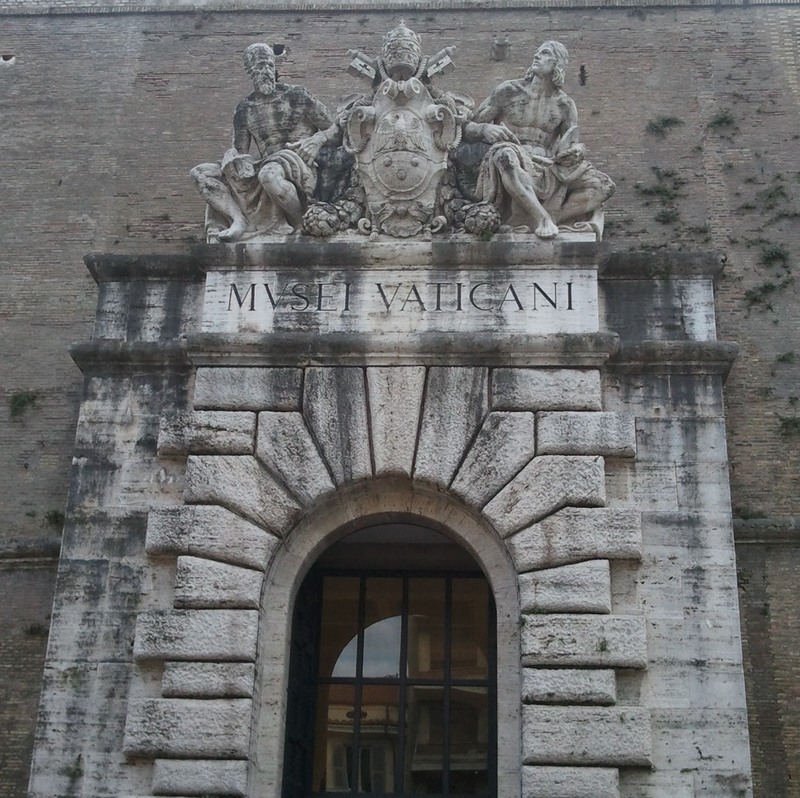 Friday we went to the Colosseum and the Santa Maria Maggiore, we had a great time walking around the sites and reading about the amazing history and architecture of the places. Around the Colosseum we saw the Arch of Constantine, the Forum, and the Palantines with the group. After that we split up and went separate ways to again explore the city. Saturday the 17th we broke off in twos and walked around Rome and saw the major sites during the day. Most of us visited the Trevi fountain, the Spanish steps, Pantheon, Piazzo Popolo, and different small churches. We all had a great day. That night, most of us ventured out to view the Trevi fountain and the Colosseum at night and we were awestruck by how beautiful the night lights make them. 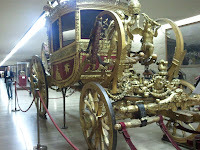 Sunday we then left for the castle again by train. It was a good trip back, with a lot of talking, sleeping, and playing 21 questions. Monday the 19th and Tuesday of the following week we had class and shared all the pictures of our adventures here in Italy. Wednesday was work day and Danny and Ramsey helped to build the stone wall that had collapsed due to heavy rains. They mainly helped to haul dirt back and forth to the site and to fill in the space behind the wall with dirt again. Thursday was class and Sizzo talked to us about our finals which are coming up this next week, we are all terrified and therefore studying like mad. Friday we went on a field trip to Brixen, Bolzano, and Neustift for both the classes that Sizzo teaches. We saw many churches and and Otzi the Iceman. It was amazing to see the great architecture and to try and decode the frescos that we saw using the symbols that we were taught. Otzi was also interesting to see in person. We learned a lot about the tools he used and the clothes he wore. The weekend was spent packing some of our things for our trip back home, studying for our finals, and generally just relaxing. We have enjoyed our time here, but all of us are very excited to see our friends and families back home.